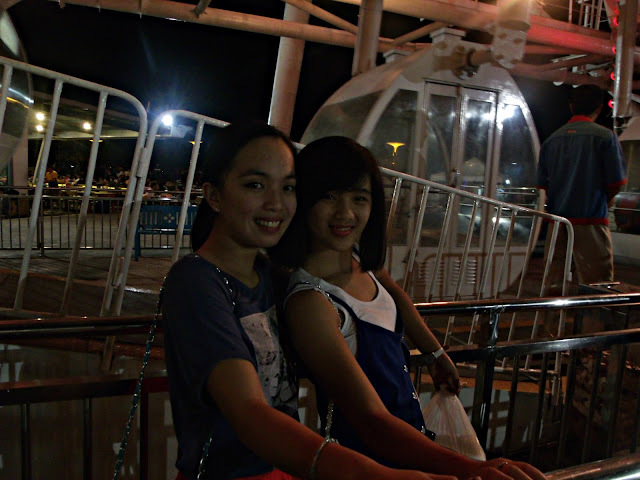 THE EYE at SM MALL OF ASIA is self acclaimed as the tallest ferris wheel in the Philippines. It is measured 55-metre (180 ft) tall. 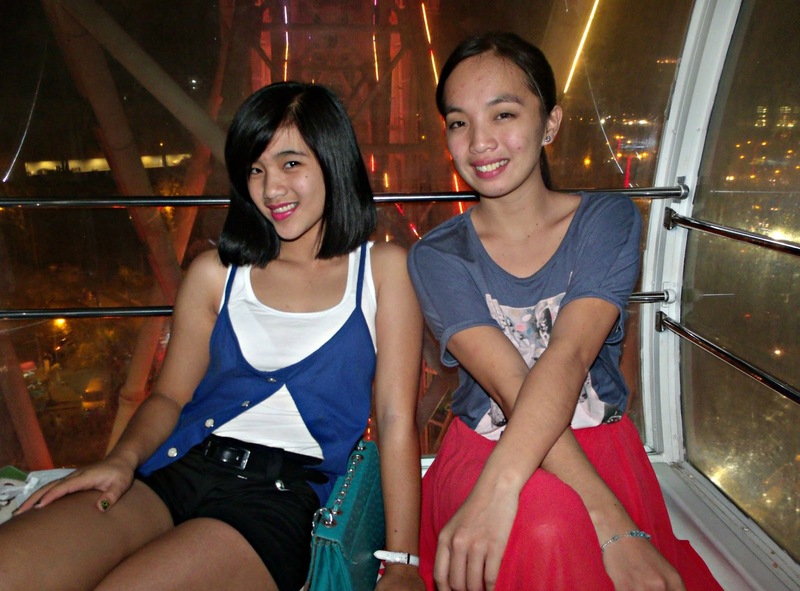 The EYE at SM MALL OF ASIA opened to the public last December 18, 2011. It was our first time and somehow it is exciting and definitely nerve rocking! 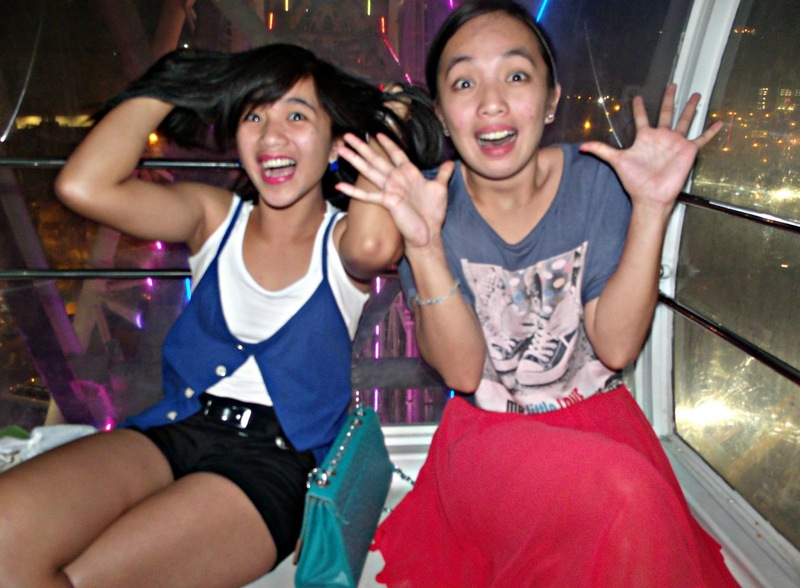 The EYE at SM MALL OF ASIA has 36 air-conditioned gondolas. Each gondola is able to carry up to six persons, giving a maximum capacity of 216 passengers. The EYE at SM MALL OF ASIA operates from 10:00 until 01:00 on Fridays and Saturdays, and from noon until midnight the rest of the week. Of course passengers would also need to be cautioned with the rules like food, drinks, animals, and pregnant women are not permitted, and children under 42" must be accompanied by an adult. When going there I would suggest an late afternoon so you could have a good view of the sunset and or in the morning so you could have a good view of the city. 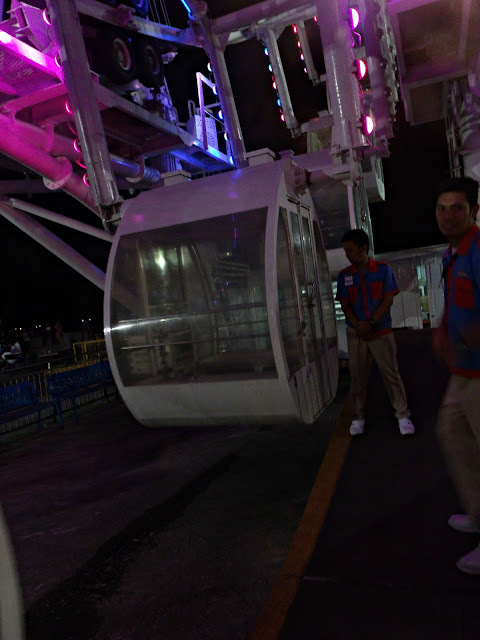 I don't think that riding the gondolo's at night would be a good idea. 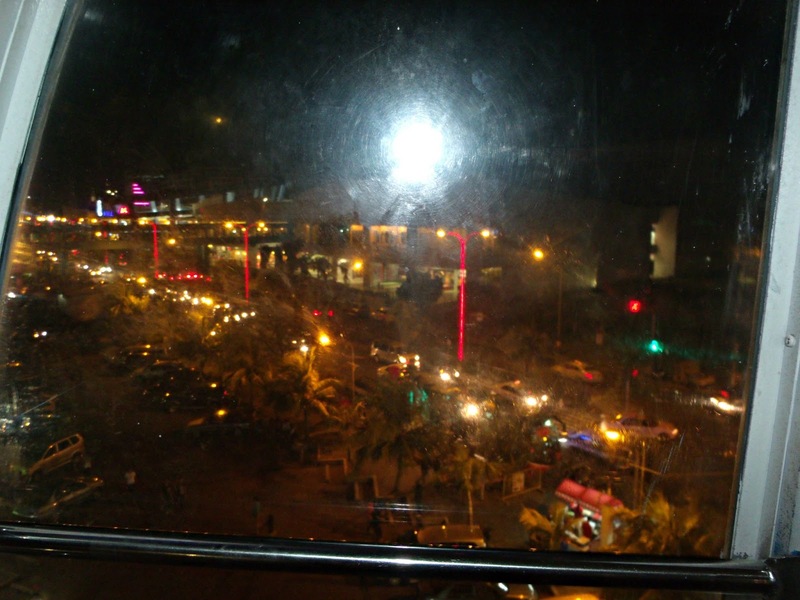 I only saw sparkling lights of buildings and cars.